Bag toppers in 2 sizes, printable for candy, baked goods, treats. 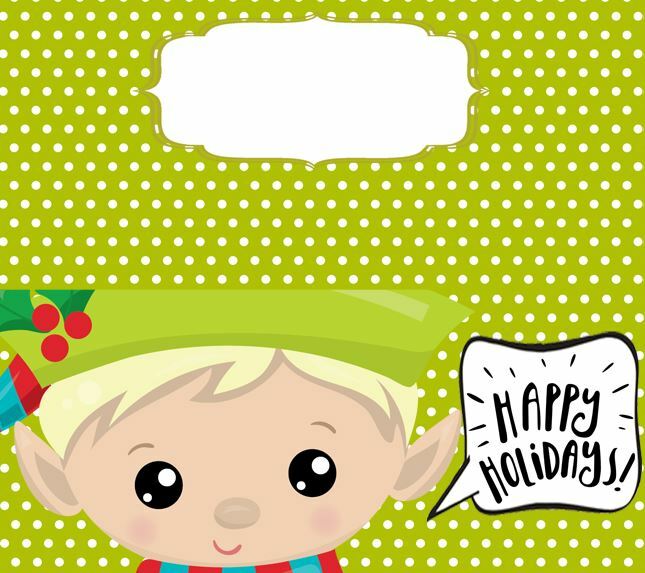 Has an elf saying Happy Holidays. Check out the Christmas treat bag ideas!